Joey from Made by Joey is with us today to share some great tips on encouraging independent explorations with your children. In an age where more and more of children’s play is based on following instructions, it is important to provide your child with lots of opportunities to lead their own play with independent exploration. One thing that I loved doing for my kids when they were between 3-9 years old was to put together collections of materials for them to explore on their own first thing in the morning*. I remember waking up to hearing the squeals of delight whenever they discovered that I had left out a collection for them to explore on their own. Part of the thrill stemmed from the surprise of discovering it first thing in the morning! *only include items that your child can use safely without adult supervision. 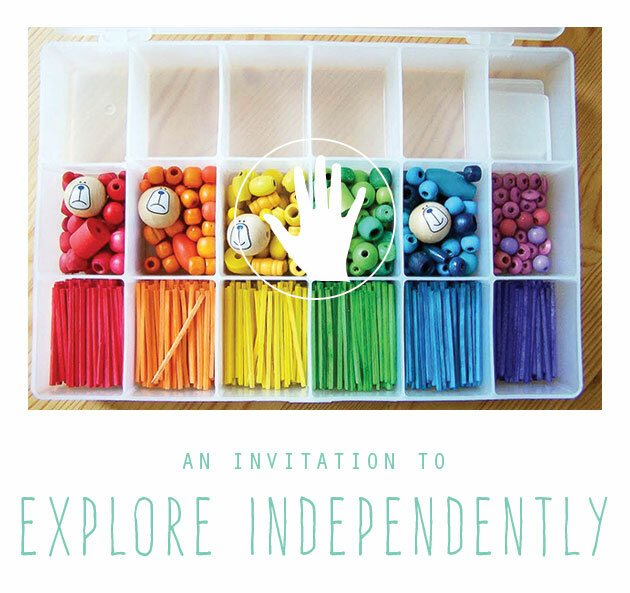 Putting together an invitation to independently explore is as simple as going through your home collecting items that have a common theme. 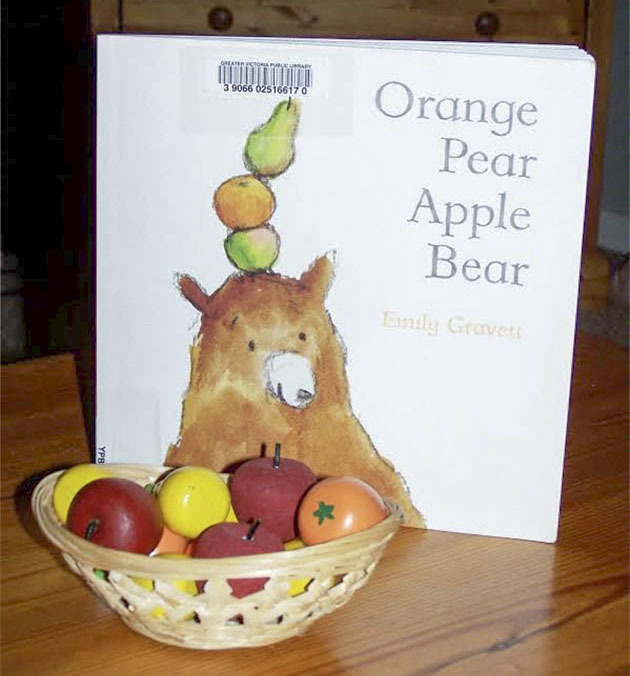 For example: for this little activity I paired up our wooden oranges, pears and apples from our play kitchen with the library book Orange Pear Apple Bear. 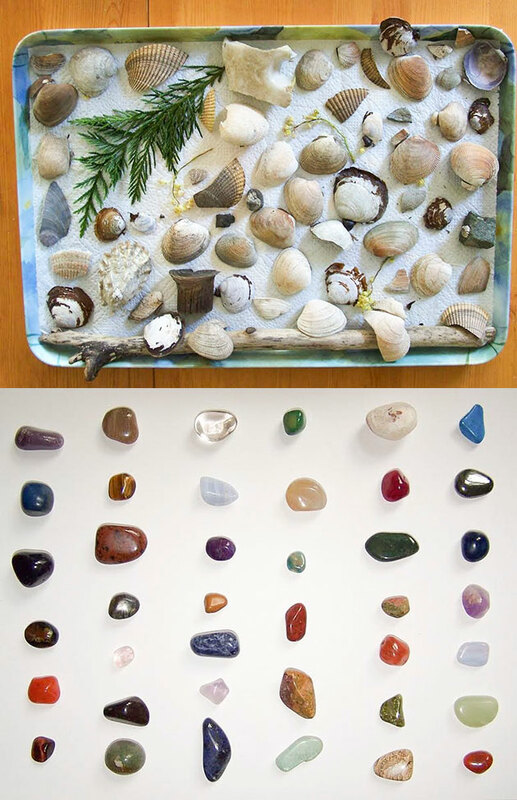 – A collection of shells, driftwood and plants that we found on the beach was artistically arranged on this tray. 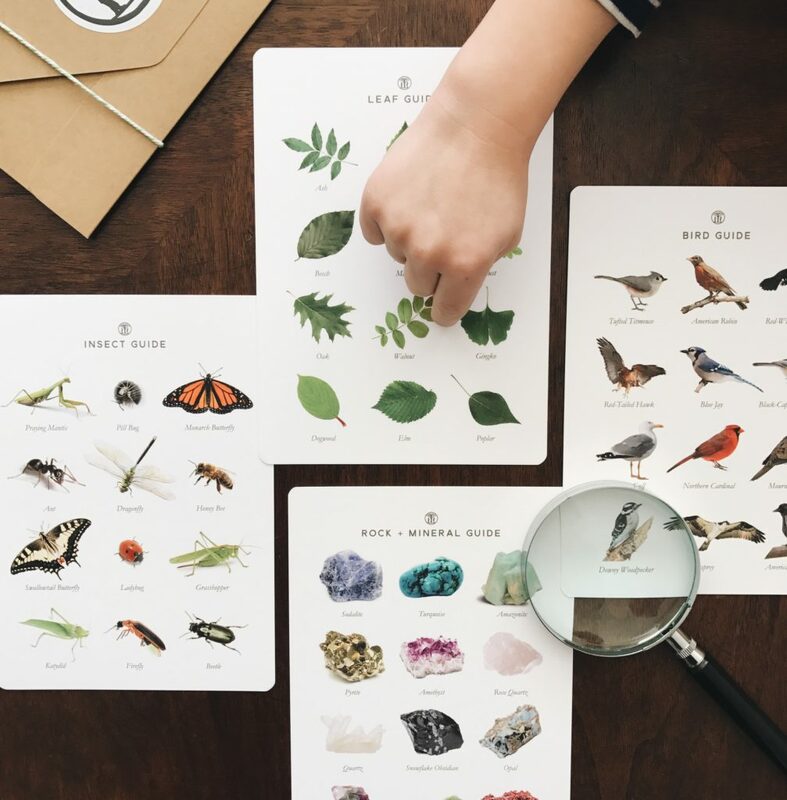 – A collection of smooth gemstones and an identification book for older children. This was one of my favorite collections to leave out! Simple raw wood pieces and some colorful sheets of felt turned into some beautiful creations! The idea behind this concept is that there are absolutely no expectations of the child. They are left alone to freely touch the items, read the book, create some art, play a game, or make their own discoveries. 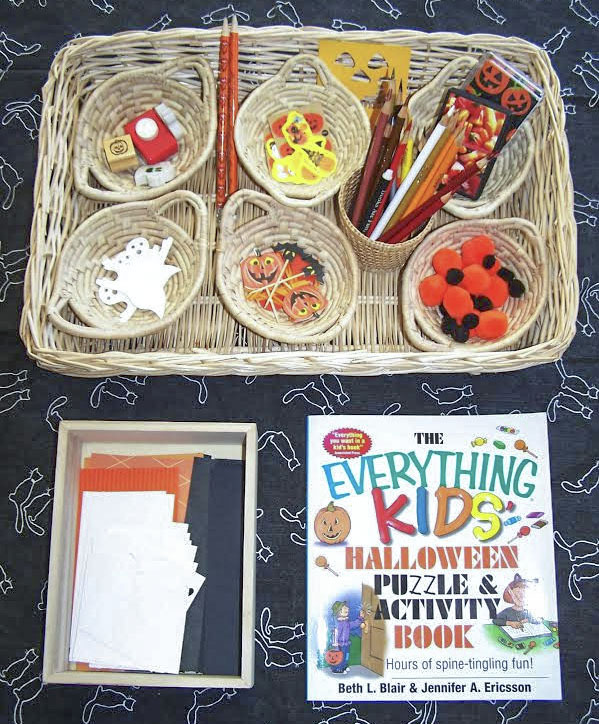 Other items may be brought into the play by the child – it’s a completely unstructured, child-led learning experience. After you have enjoyed the extra quiet time in the morning(!) 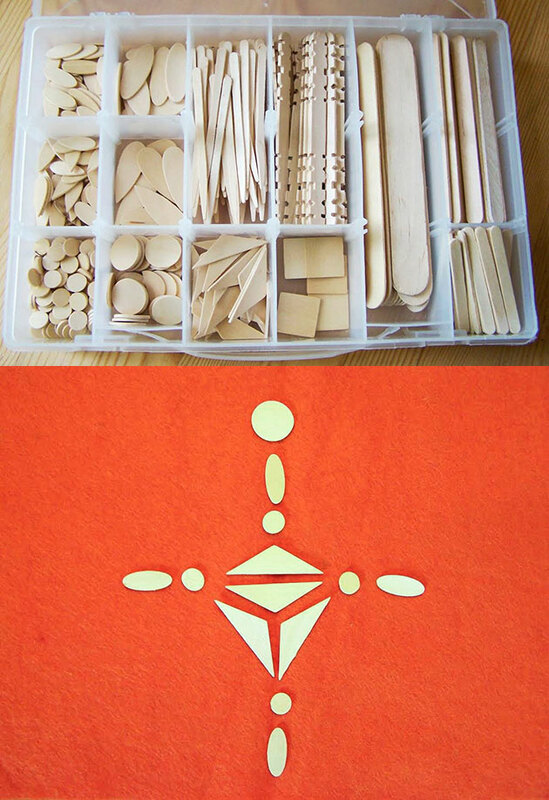 be prepared to be impressed by what your child decided to do with the items all by themselves. Take notes… you may learn a thing or two!